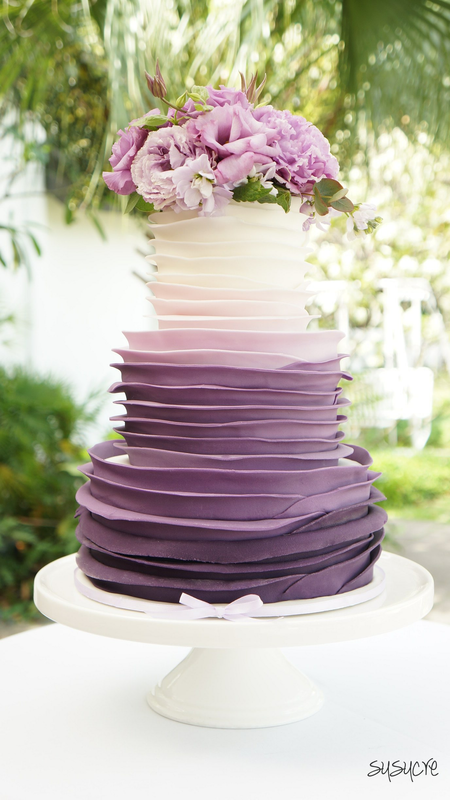 All our cakes are masked with delicious chocolate ganache – made of cream and the best quality dark chocolate. 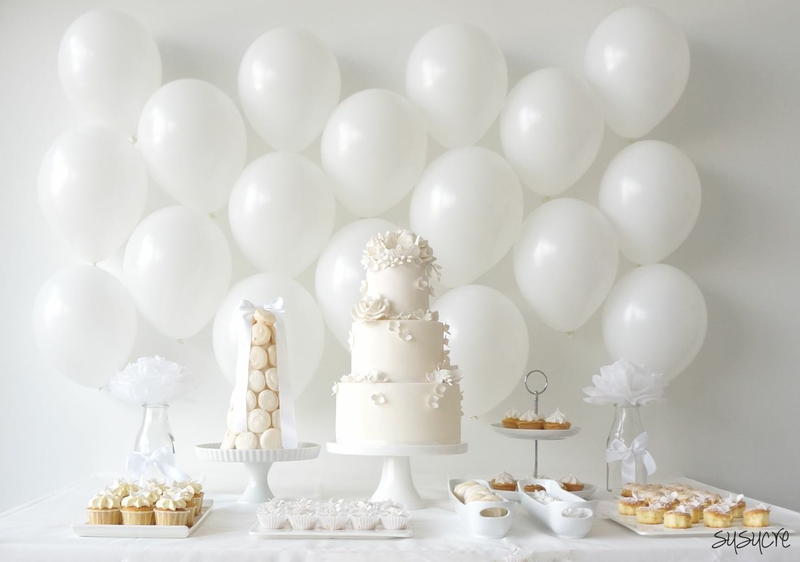 Ganache-covered cakes hold up quite well even in hot and humid climates – nevertheless we recommend keeping all cakes in air-conditioned rooms and out of direct sunlight. 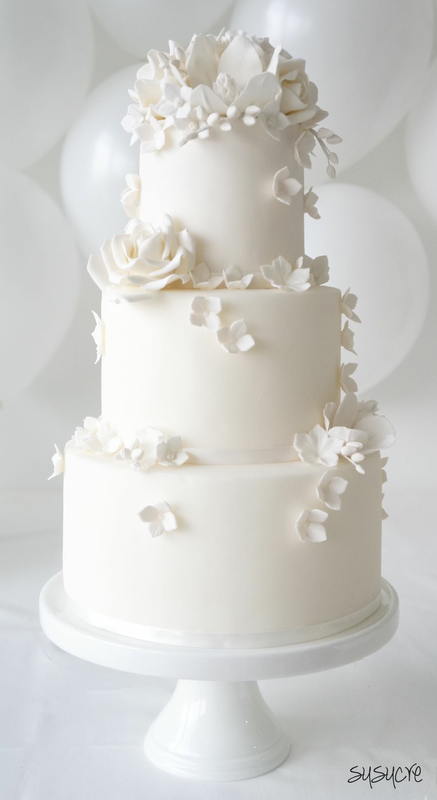 We also offer buttercream-masked cakes on special request. 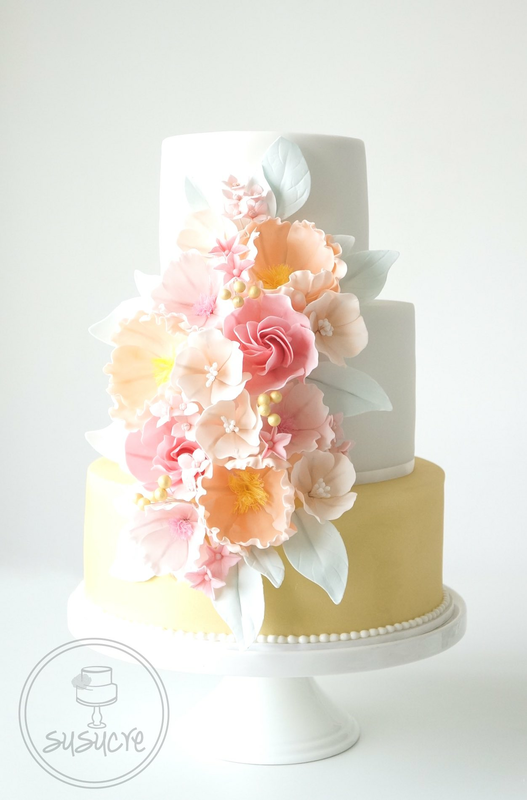 All our cakes are covered in fondant and decorations are made out of sugar paste to achieve the delicate designs. 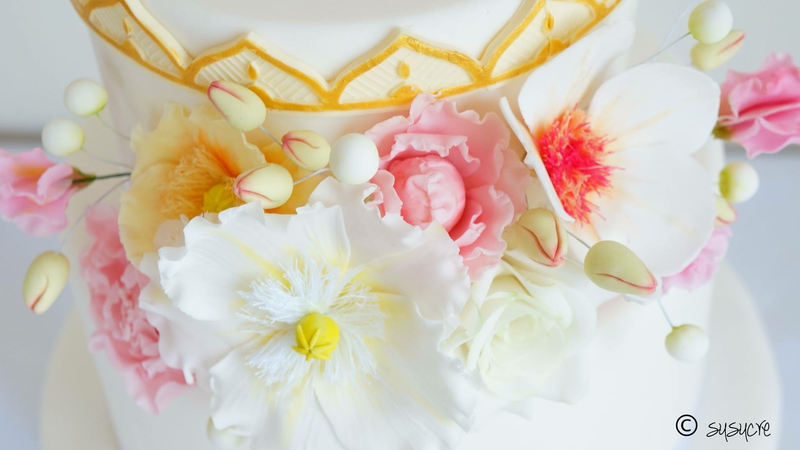 Despite the bad reputation of fondant – the Swiss fondant we use is really delicious! 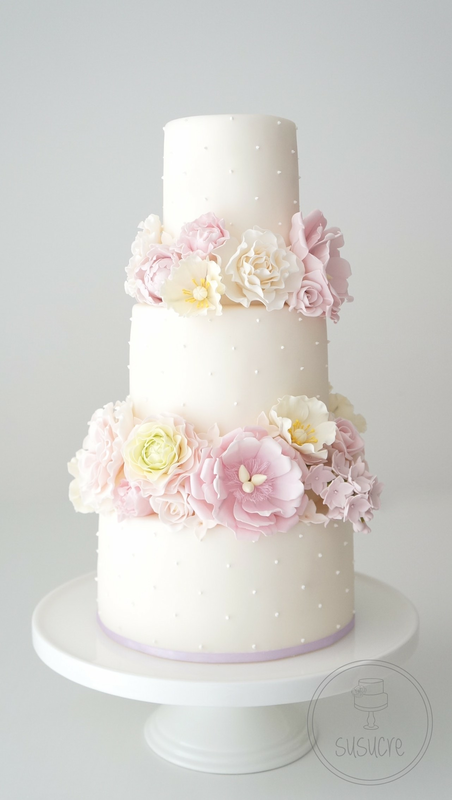 We admit it tastes sweet, but with a slight vanilla note and a soft texture it complements the cake flavors. Please inform us of your allergies and dietary restrictions so we can find suitable cake flavors together. 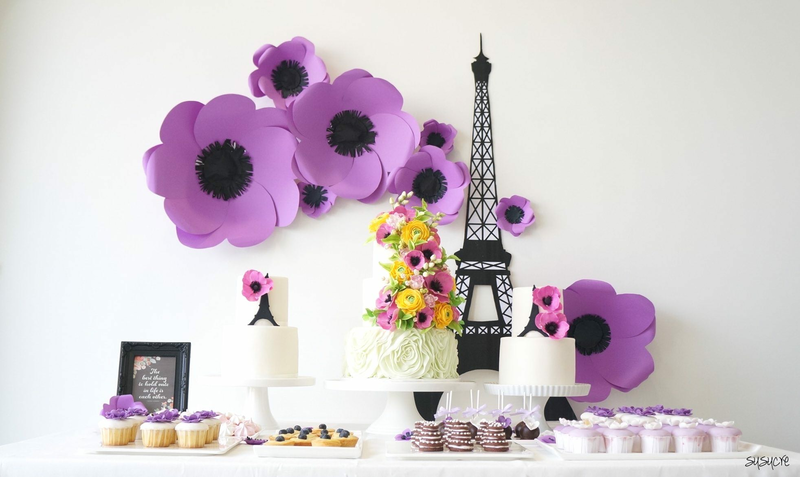 Susucre is a custom cake and dessert table company that marries outstanding, beautiful designs with truly delicious European cakes and desserts. 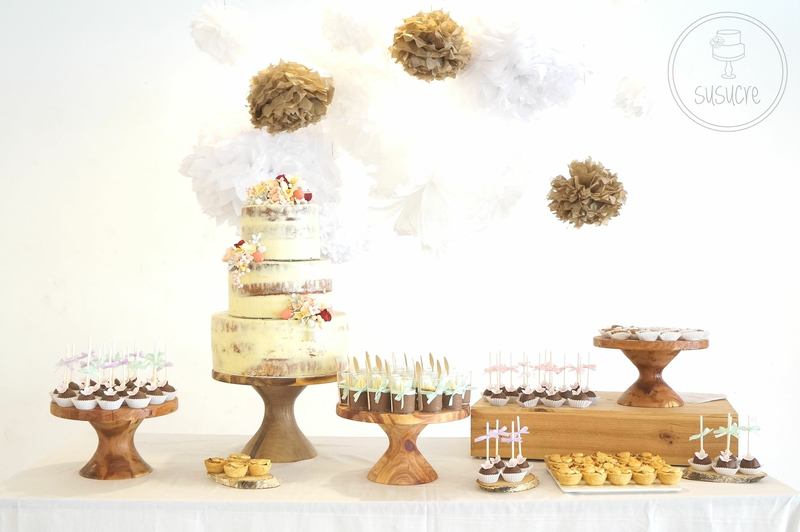 All cakes and desserts are hand-made from scratch using high quality ingredients and European artisan recipes to give you the joy of eating delicious and additive-free cakes that taste as good as they look. 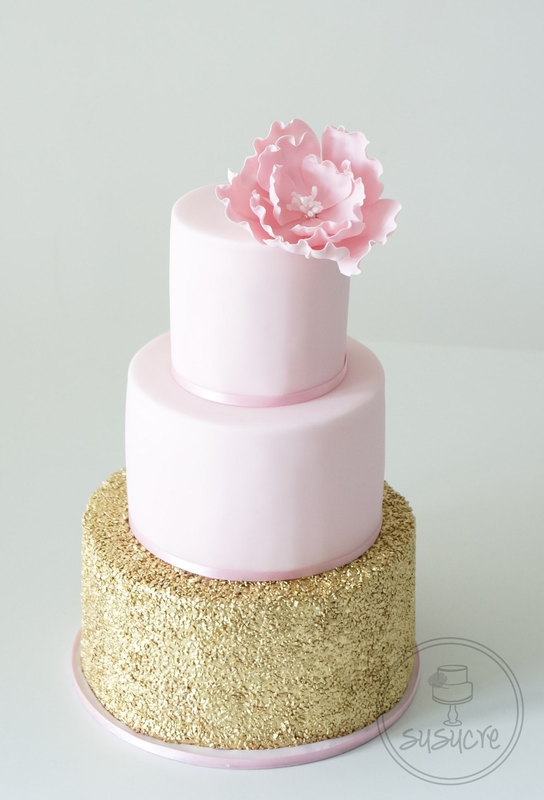 Susucre never fails to impress- with each creation of wedding and celebration cake that is uniquely yours, beautifully designed and custom decorated to suit your aesthetic. 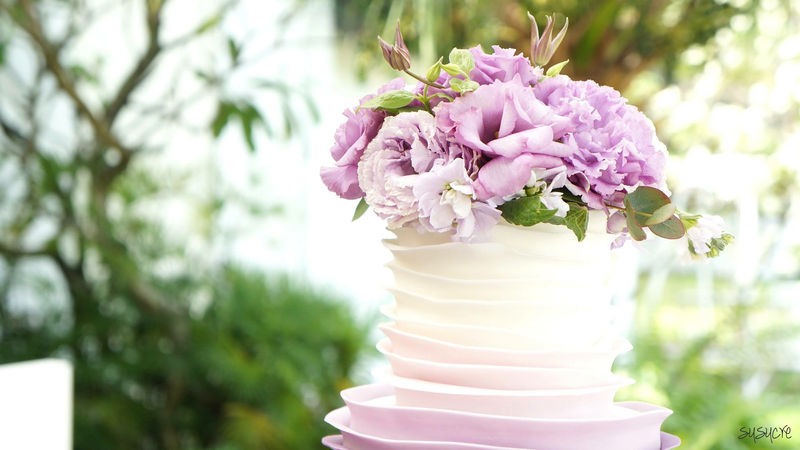 For Susucre’s wedding cakes, each comes with a touch of light sophistication, finely handcrafted, conveying each couple’s stories and memories through each and every creation. 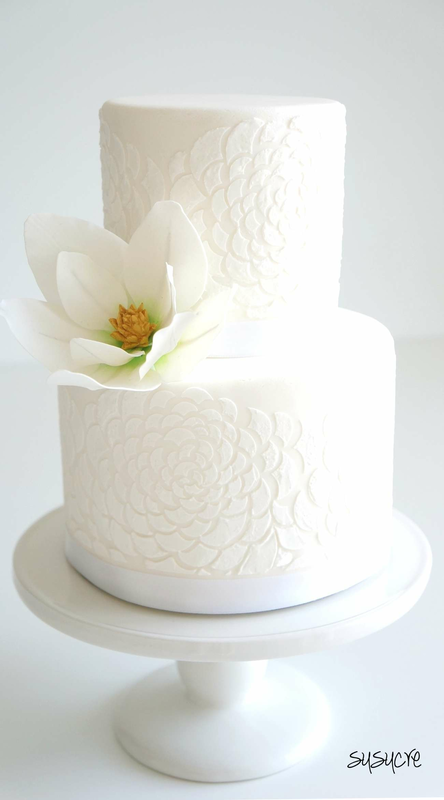 Their beautiful works were recently featured in Prestige Magazine, Her World Brides, Style Weddings and Female Brides magazines! 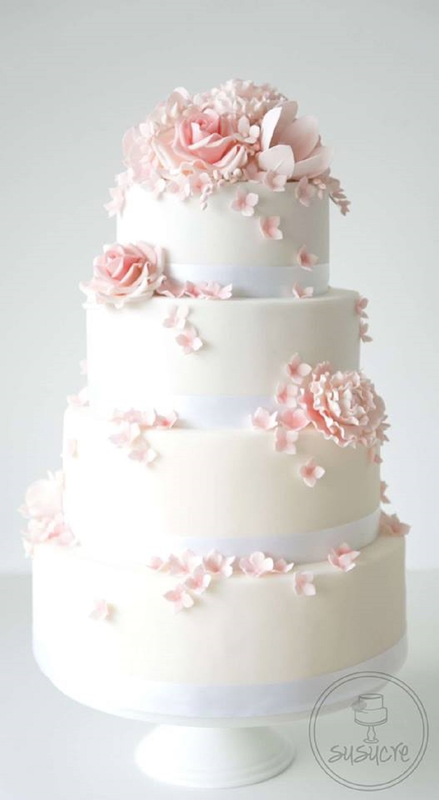 Susucre invites you to journey with them on the creation of your perfect wedding and celebration cake that complements your special day. 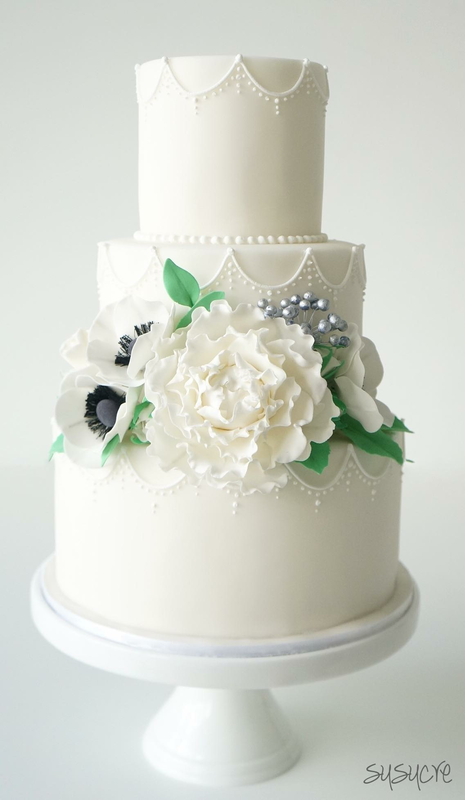 Send us pictures of your cake and we can do a customized package for you! 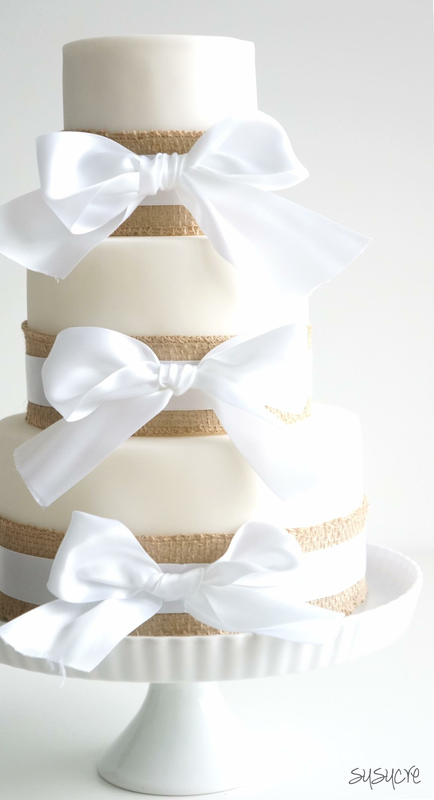 Please tell us your allergies and dietary restrictions so we can find suitable cake flavors together. 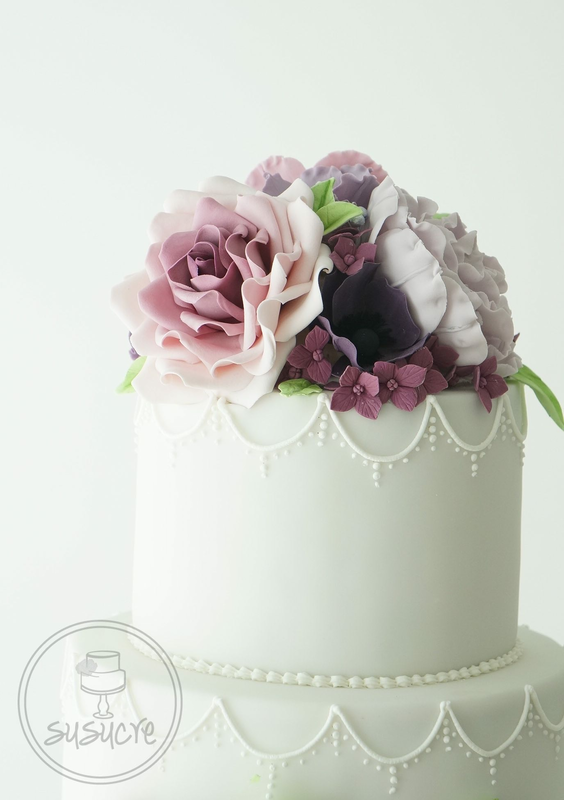 Your customised order request has been successfully sent to Susucre Cake. 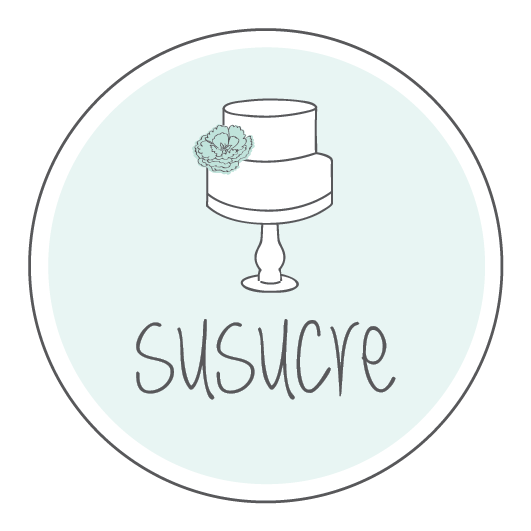 Your will be notified when Susucre Cake respond to your customised order.